Whether your horse is a beloved backyard companion or an international competitor, healthy feet are an essential part of his overall health. The problem is, when it comes to the "correct" way to do things, there are as many opinions as there are horse people. The key is to make informed decisions, with the help of your farrier and veterinarian, about what's best for your horse and you, addressing both internal (nutritional) and external factors. Although the results of nutritional care are often less noticeable and slower to appear than the results of external care, both are very important to all horses. Here, you'll find many suggestions addressing these two aspects of hoof care. 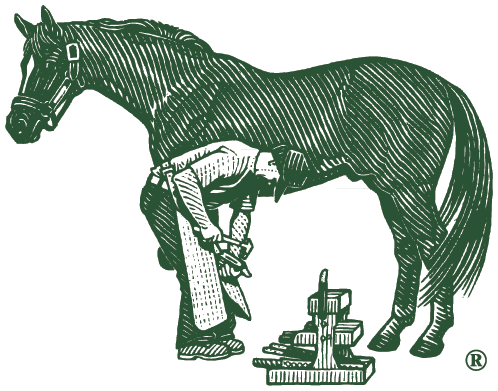 For overall hoof care, having a good farrier and veterinarian is critical to the success of any horse management program, and you should select these professionals as carefully as you would your own doctor. Then, beyond the regular care they provide, seek their advice as often as needed regarding nutrition, training, and care.